Home / Abused / News / Viral / “Hinimas-himas ang hita ko at sumenyas siya at dumudungaw siya sa ilalim!” Guy Shares His Encounter With a Pervert Inside a CR in Trinoma Mall! 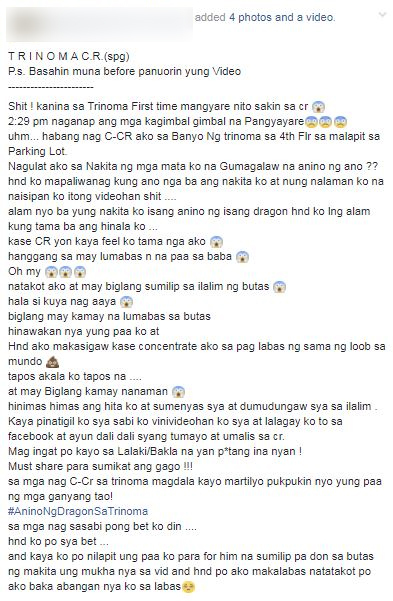 “Hinimas-himas ang hita ko at sumenyas siya at dumudungaw siya sa ilalim!” Guy Shares His Encounter With a Pervert Inside a CR in Trinoma Mall! Malls are usually perceived as safe places because uniformed security guards roam the area and position themselves at entrance doors. However, what if you encounter a pervert inside one of these establishments? What would you do? 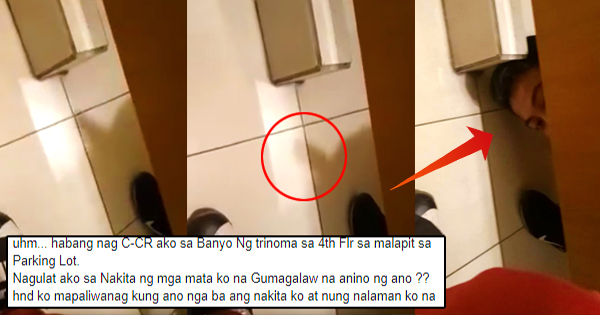 A male netizen never thought that he’d encounter a pervert inside one of the unlikeliest places in a mall – inside a public comfort room. He posted his encounter on his own social media account to warn others about the man. 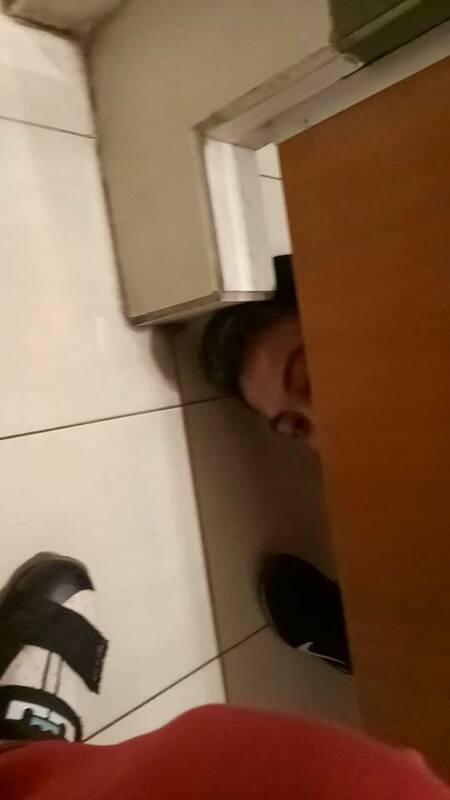 According to his status, the incident happened in one of the comfort rooms of Trinoma Mall. He shared it on Wednesday, July 25, 2017. The netizen narrated that he went on the fourth-floor comfort room located near the parking lot to relieve himself. 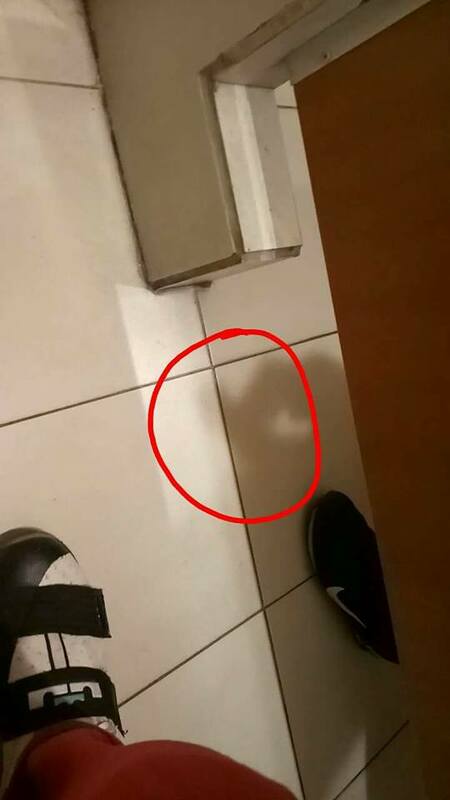 In the middle of doing his own business, he saw an unusual shadow inside the stall next to him. The netizen claimed that he got extremely scared and nervous at that time. 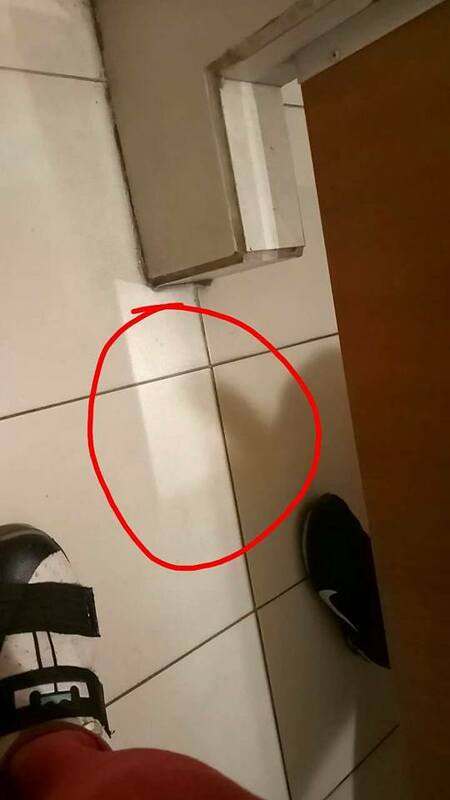 His fears increased when a foot emerged from the stall. To his utter shock, a man emerged from underneath and invited him. To do what? 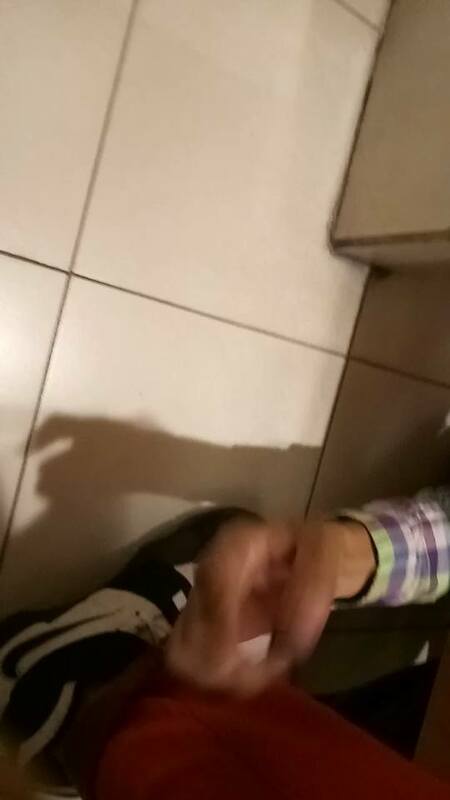 The netizen said that the pervert grabbed his foot, reached his thigh, and caressed it repeatedly. He even gestured at him but the netizen told the pervert that he did not want to be involved and the pervert should stop. After which, he decided to film the pervert so that he would have evidence of the whole thing. By the end of his post, the netizen warned the public about the man and how they should be vigilant even in supposedly secured areas like malls. He specifically warned people to bring a hammer with them if they would use the male comfort room located on the fourth floor, near the parking lot. The netizen added that if they encounter the pervert, they should hit his hand with the hammer if the latter tried to peek at them beneath the stalls. What do you think about this pervert? Have you encountered a similar situation such as this in a comfort room? Please be careful out there, people! Let us know your thoughts in the comments section below!